IceBox Cafe at Miami International Airport seems like just the kind of place you want to find when you’re trying to eat healthy and fresh food while traveling: It touted its “farm-to-terminal” ingredients, locally sourced cocktail garnishes, and even “caught that day” fish. The reality? The food came from Sysco. That’s according to a civil lawsuit filed by Florida attorney general Pam Bondi, who accuses IceBox Cafe of “misrepresenting the origin of the produce they sell to deceive customers seeking locally-sourced, fresh food.” ABC Local 10 reports national distributor Sysco supplied much of the food, and that the farm IceBox purported to source from hadn’t received an order from the restaurant in years. Is this a legal matter? Apparently it is. The attorney general’s office is collaborating with the Department Of Business And Professional Regulation and the Department Of Agriculture And Consumer Services to investigate these types of local sourcing claims around the state, ABC Local 10 says. In the case of IceBox Cafe, the agencies allege it’s in violation of Florida’s Deceptive And Unfair Trade Practices because it made false and misleading statements to consumers about its ingredients. 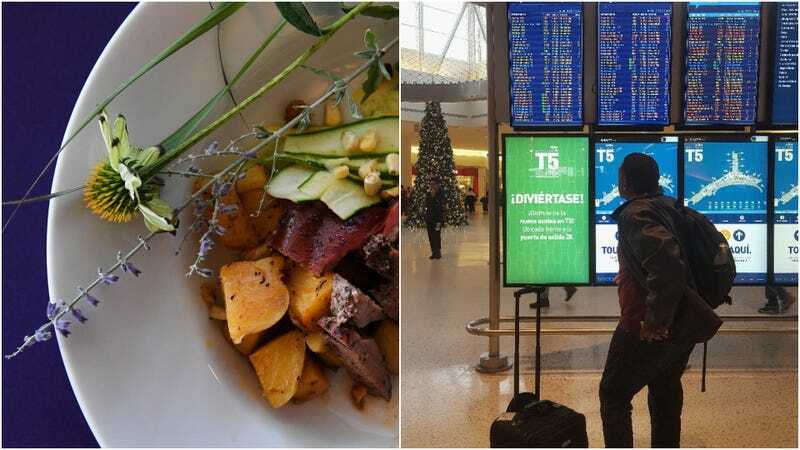 It’s frustrating though not entirely surprising that an airport restaurant isn’t getting daily deliveries of lettuce from nearby farms or fresh-caught fish from area boats. The only way for consumers to really know whether ingredients are locally sourced is, clearly, to go full Portlandia chicken inquisition on their poor servers. Ask The Salty Waitress: Any tips on ordering lunch for the office?